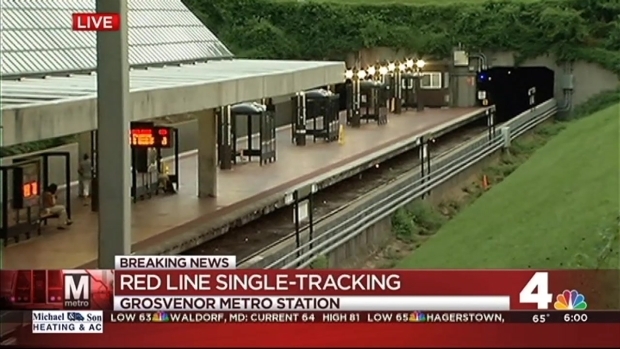 Metro said single tracking has ended on the Red Line, after a morning of work to restore service between the Twinbrook and Grosvenor stations. But the disruption rippled through the service, and was made worse by a power problem at the Tenleytown station that also led to delays. This morning's delays followed hours of single-tracking on the line that led to delays and packed platforms Wednesday. 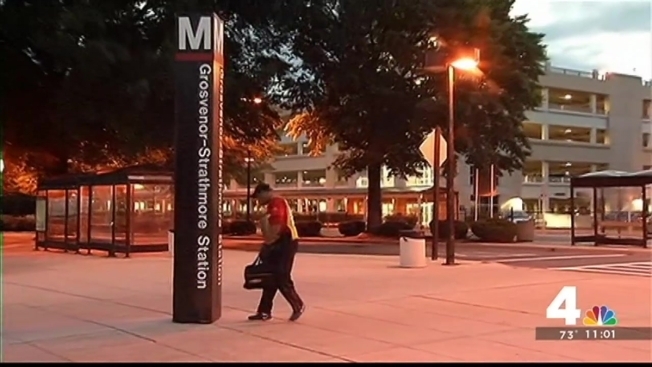 Metro tweeted Thursday morning that work had continued to fix the track overnight. At about 6:30 a.m., they announced a test train had successfully run on the track, and single tracking had ended. Metro's Red Line is still single-tracking Thursday morning, and Metro warns that commuters should expect delays. News4's Megan McGrath reports. The problem had been due to a "slippery rail" problem. A foam-filled tire on a piece of equipment used during overnight construction created a slick surface on the rails, Metro said. A track problem near the Grosvenor station had also caused delays of as much as 30 minutes Wednesday morning. Stay with News4 and NBC Washington for more on this developing story.